Assembly is often the ultimate last step, and the optimal time for assembly is at the completion of coating, saving you additional handling costs. 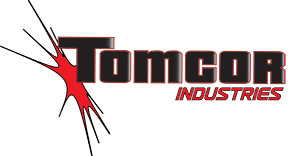 When time is of the essence or when labor is in short supply, turn to Tomcor to provide the assembly and packaging expertise you need. We offer part and kit packaging assembly specific to your requests and ready for distribution. Hardware assembly and special packaging. Complex multi-component assemblies, including large sub-assemblies for finished product distribution. Fiberglass component manufacturing and bundled assembled products. "With just one stop at Tomcor, you'll save valuable time and resources."